Liz and I have recently returned from two months overseas visiting a friend in Alaska and family in Canada. En route to Alaska we stayed for a few days in Hawaii. When we got outside the urban cocoon of Honolulu we were struck by the beauty of the island of Oahu, especially the beaches and rugged, bush-clad hills of the north-east coast. We also discovered a little literary gem there. In 1866, at the age of 31, Mark Twain arrived in the Hawaiian Islands to spend four months as a correspondent for the leading newspaper on the Pacific Coast of America. In 1872 he drew upon these articles and his personal notes for the Hawaiian chapters in his travel book, Roughing It. 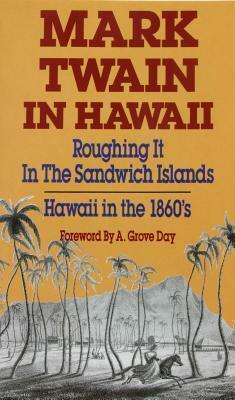 In recent times the Hawaiian material has appeared on its own in a little volume titled Mark Twain in Hawaii: Roughing it in the Sandwich Islands (Mutual Publishing, 1990, 106 pages). It is a fascinating and engaging read. It includes photos and engravings of Hawaiian scenes from the time – particularly striking is a scene of Hawaiians surfing on wooden boards. Thanks for this. I have not read this book or even known about it until now. It appears to give a fairer evaluation of missionaries than one often gets from secular sources. Many years ago I read Mitchener’s book Hawaii, which has a lot on missionaries, not as favorable as I remember. Our family stopped in Hawaii for a few day when we first came to New Zealand. I don’t think we got outside the “urban cocoon”, however. Thanks for your comments. It’s always good to hear from you. I haven’t read Michener’s book, but I did see a movie years ago which I think was based on his book.